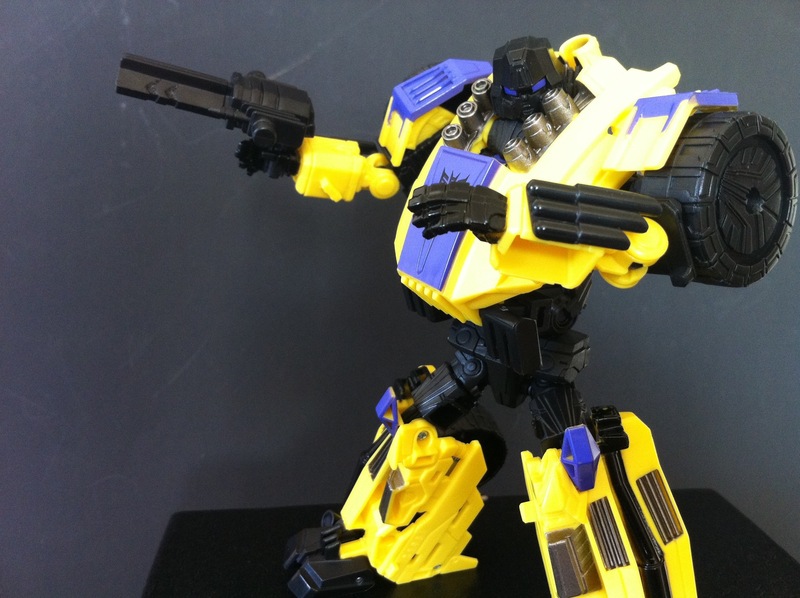 FOC – Swindle – Retail Ver. 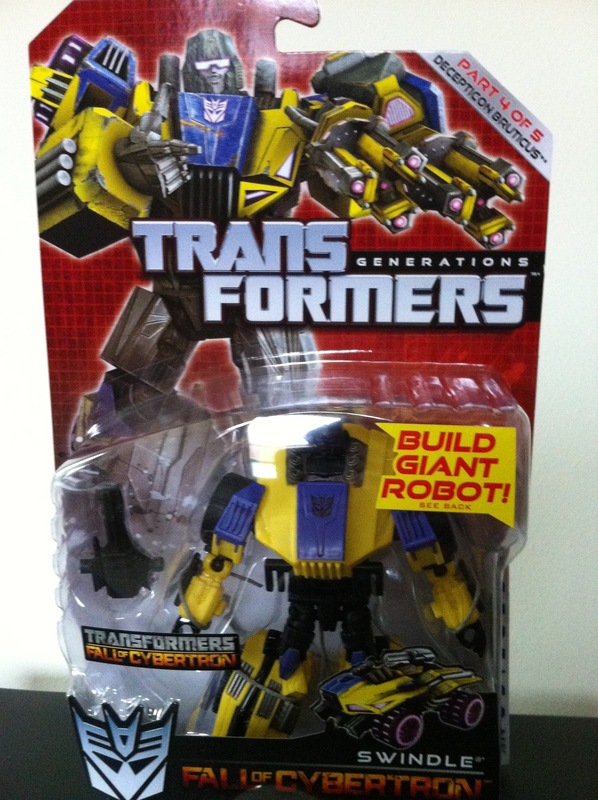 As I mentioned, my area tends to get new Transformers in very slow. 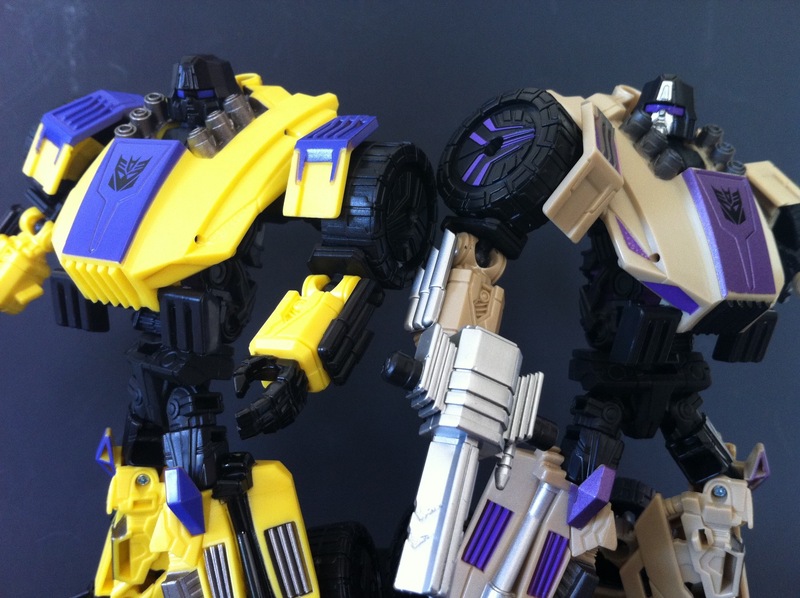 So I picked up Swindle here at TFSource to tide me over, and to be my “Desk Buddy”. The package art is outstanding, even if he’s drawn with a gun from the game, and not with his actual blaster. 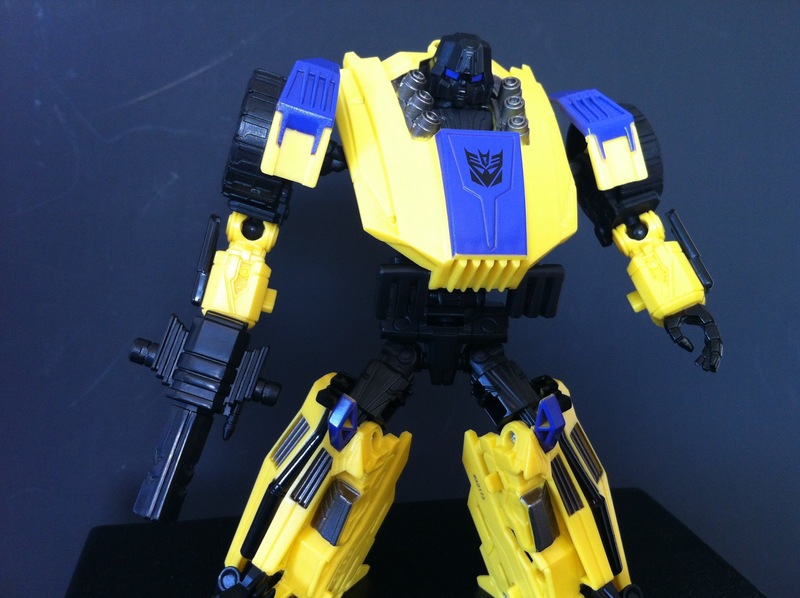 He has limited paint apps compared to the SDCC version, with mostly yellow black, some purple and metallic grey. 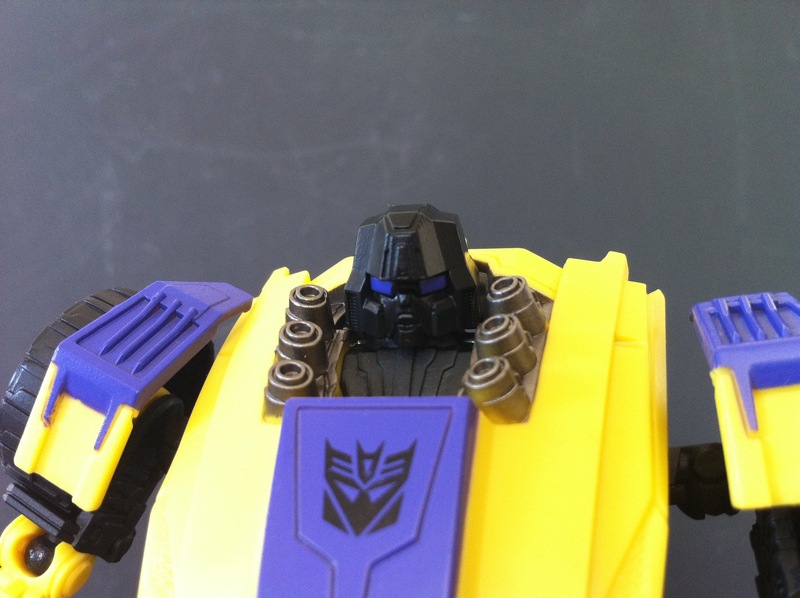 I tried a small paint mod to give him his Big square eye look from his G1 look. It’s not perfect, but I like it! 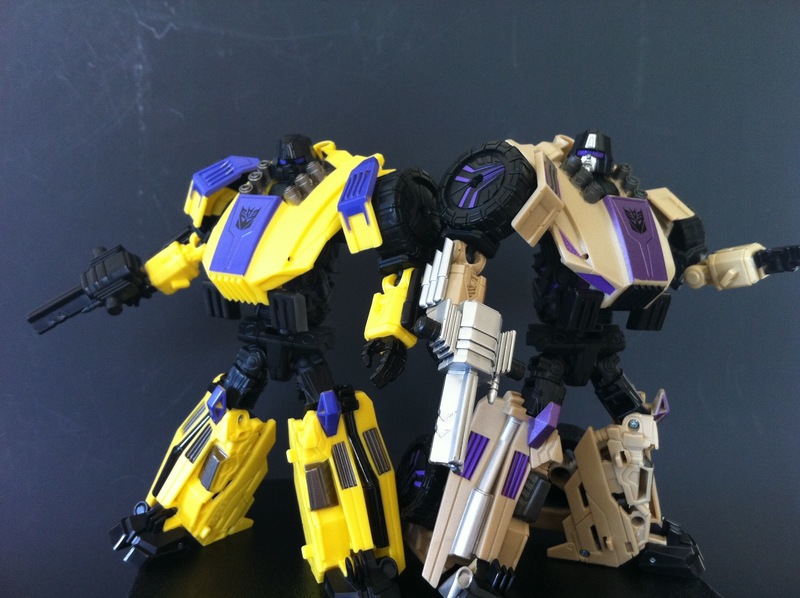 Here’s a side by side with SDCC Swindle. I have to say, I like them both as equals. You can see the obvious lack of detail apps on the retail version, but I think it’s a good look. 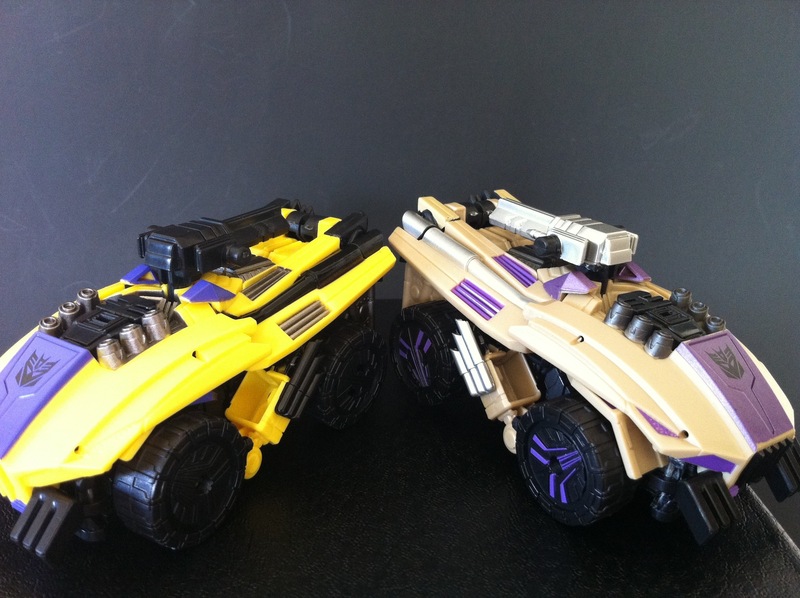 Vehicle modes look good together too. I’m quite happy with this version, but I can’t wait for the G2 version either! Hopefully the rest of the team hits the shelves here soon. Nice pics! I can’t wait to find him. But next to the SDCC version, he looks lacking. Yeah HP, the detailing is quite scarce, but still, they are pretty awesome! I’m looking forward to Onslaught! Kill Bill…nice reference! Can’t wait to find these @ retail since I skipped (i.e. couldn’t afford) the SDCC release. 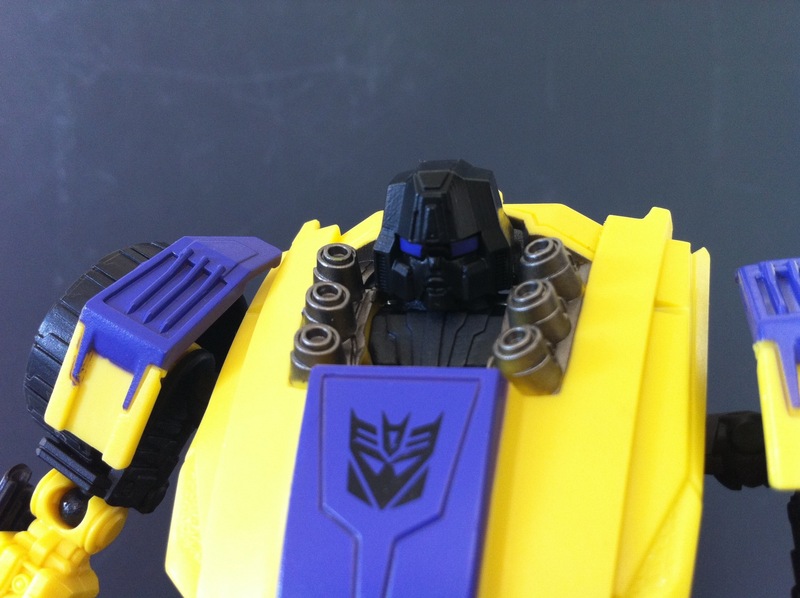 I’m telling you Flywheels, he’s very Kill Bill-ish! I love it!